A fantastic and dark origin film for the Bat. Nolan's trilogy is really good. Weird watching in retrospect. Not as good as when I was 15. It's sequels are much better, but still it's not bad. Funnier & sillier than later entries, Nolan's first Bats is a success. 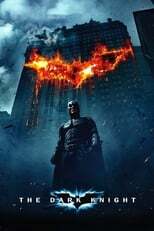 I'm in the minority, but I think this is Christopher Nolan's best Batman Film. Thrusts us into Gotham with subtle intensity. An amazing film, well worth multiple views. rebooted the whole batman franchise. Before this, nobody thought superhero flicks could be serious cinema. Not much is better! You forget how good it is because of what came after, but this movie is still excellent. Dark and thoughtful, if not a bit grandiose. Unnecessary leading lady. Great atmosphere. I rewatched this again recently and was shocked again at how good a job Nolan did. The beginning of the best super hero trilogy to ever be made. Necessary viewing. Solid beginning to this rendition of the franchise. An excellent reboot. Bale hits all the right notes.